A scoring guard with size, range, toughness, and some athleticism vertically, Anderson will be a steal in the right situation. He can fill it up from long range, he can attack and finish off the bounce, and he has the ability to handle the ball and create as well. A hard worker with grades, character, and a strong 6-3 plus length frame, Anderson is a legitimate low to potentially mid major Division 1 scoring guard whose best basketball lies ahead. Tough, physically, and that dude you want with you in the trenches when it matters, I’ll stand side by side with this young bull and go to battle any day on the hardwood because he’s a max effort guy, he always shows up, and he’s always going to deliver. He has made himself a point guard through perseverance, believe, and hard work. Gentry can score at every level, he can defend, he rebounds, and he can create. This is the young man that when you walk into the gym at 8 a.m. on Saturday morning you look at your team and know no one wants to deal with him that early when they’re just trying to get a run in. Mysterious injuries and ailments show up within the first 30 minutes when he's your defensive assigment. All jokes aside though he’s a nightmare matchup because whether it’s skill, leadership, or pure toughness, Gentry will overpower opposing guards on one or all of those levels. Southern Connecticut State, Holy Cross, Grambling, etc. are a few schools that are starting to kick the tires on him. A 6-3 smooth scoring wing who’s flipped the scoreboards for years in Missouri, Johal is a catch and shoot artist who can hit the mid-range pull up or finish through traffic off the bounce. Whether it’s in a half court set or on the catch in transition his jumper is smooth and pure and he can fill it up in bunches. As good a pure shooters as there is left on the board in the 2018 class, Johal is a low to possible mid Division 1 scoring guard whose best basketball is in front of him. You want athleticism, explosion, defense, playmaking, and the ability to break down defenses off the bounce and get to the rim or create then Jones is your guy. Equipped with an explosive high major athletic (i.e. vertical, quickness, etc.) package physically, Jones only area to improve is on his perimeter stroke from beyond the arc. 500 jumpers a day and the right system solves that immediately. Jones is one of the most explosively athletic guards on the board nationally and he has grades, heart, the ability to fill the box score, and leadership to be an absolute steal in the right spot. Someone is going to steal him off the board and get a player that’s going to help them win a lot of games in his career. A 6-8 plus length late blooming forward with grades and a very high ceiling, Peterson can fill it up from long range and he mixes in some solid ability around the basket and instinctive rebounding to make for a talented prospect whose best years lie ahead. In the same way people slept on Kaminsky in high school, Peterson has the opportunity to really do some special things at the next level once he gets stronger and continues to develop physically. I don’t know that he gets to the Kaminsky level but that’s not the point, the point is Peterson is going to deliver some high caliber results at the back end of his career. In a flawed looking for an immediate 30 point scoring freshman type landscape, high major schools are sleeping on Peterson because their clarity and reality is perhaps a bit unrealistic as every freshmen isn’t going to be a top 5 NBA pick after their first year. Peterson is a 4 year type standout who will have a great career, win a lot of games, and bring a lot of quality basketball to the right system. 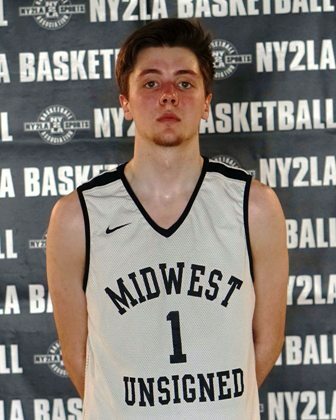 Wisconsin is kicking the tires on him and he also holds offers from Bowling Green, UIC, IUPUI, Kent State, Loyola-Chicago, Tulane, and William & Mary. 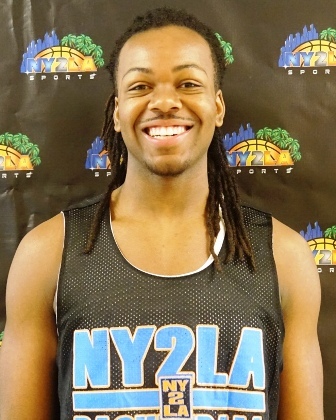 A talented floor general who is starting to soar, Pinson collected a laundry list of low and mid major offers last spring and summer after playing at a high major level in the spring and summer. Again though certain coaches may not have looked at him how they should have at times. A transfer to Simeon this year and continued development now have him as one of the hottest 2018 prospects still on the board in the Midwest. He can handle the ball, he has range, he has bounce, he can create, etc. Will need to get stronger and fill out a bit physically but his best basketball lies ahead. Georgetown, Missouri, Saint Louis, Dayton, and Memphis are the latest schools to offer the talented guard out of Chicago. There might now be a better pure post prospect left on the board in the 2018 class in the Midwest in terms of big picture potential than Shaw. Equipped with a near 6-11 frame and a 7 foot plus wingspan, the young for his class senior passes the look test in terms of size, length, and potential impact. Shaw has range beyond the arc, he can finish with both hands, he has a decent mid-range game, and he has shown activity at times on the defensive end. He’s still raw in a lot of respects and needs to bring consistent effort on both ends but big picture wise there is a lot of clay to mold him into a very talented prospect at the next level with the right coach and system. Patience will be key with him but by the back end of his sophomore year and into his later years he could end up being an absolute steal for the right coach. A highly skilled and talented 6-0 plus lead guard with all the pieces to help teams win, Todd can score big, create big, or lead in stellar fashion. His range is electric beyond the arc, he can hit the jumper at the mid-range level, he can create, and more importantly he leads and wants to make things happen down the stretch when it matters. Another Division 1 talent who can excel in the right spot, Todd is getting looks from Cornell, North Dakota State, Idaho State, Lafayette, Denver, Wofford, etc. amongst others. Probably the biggest sleeper on the board here, Yahaya is a raw physical talent with a 7 foot wing span, bounce, and the ability to clean the class and deliver double double results at the next level. He runs the floor well, he can elevate vertically, he can block shots at times, and he will score around the basket on put backs while also cleaning up the class on both ends. He’s another project in that you’re getting his best basketball at the junior and senior years and he’s being slept on because of foggy lenses at times. He’s a potential steal given his athletic and physical tools. A 6-10 plus length interior talent with a 7 foot plus wingspan, Verbeek is another senior who just needs a bit more seasoning, strength, and development to make an impact at the Division 1 level. 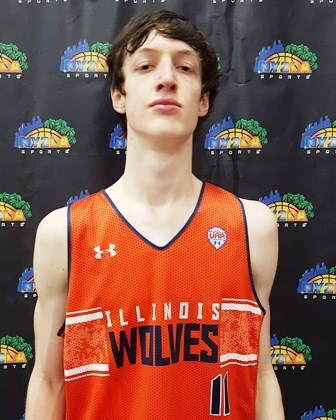 Averaging close to 20 points a contest with grades, character, and a high ceiling, Verbeek has shown range, skill, an ability to rebound, solid activity on the defensive end, etc. Schools like Davidson, Western Michigan, Oakland, Creighton, Utah, etc. are just a few that have kicked the tires on the versatile inside outside talent. Size is always a commodity and Verbeek has that and skill. His best years will obviously be at the back end of his sophomore campaign as well as his junior and senior years. A late blooming big with game, Verbeek is another who can be a potential steal for the right coach.